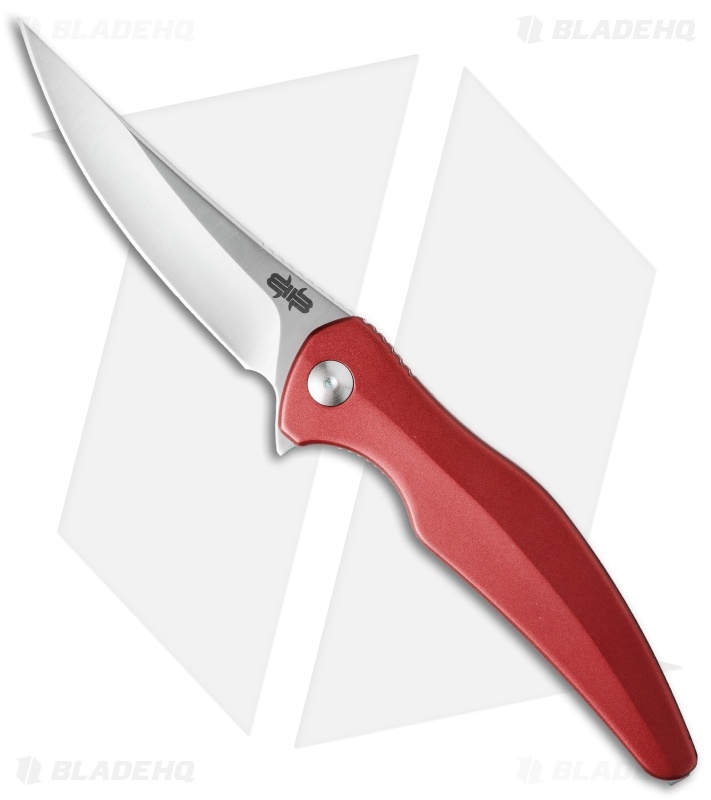 Introduced at the 2015 BLADE Show, the Sniper flipper is a relatively inexpensive USA-made everyday carry specialist with a super thin profile. 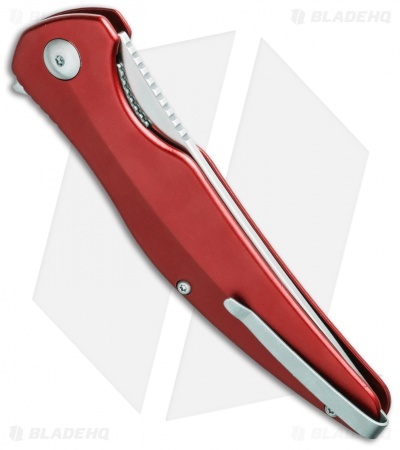 One of the standout features on this knife is the stainless steel liner lock tab that wraps around the 6061 aluminum handle to form the pocket clip. While lightweight, the Sniper's 5 inch handle makes it sturdy in hand with a full four-finger grip and thumb jimping up top. The upswept blade tip adds to the smooth flow of the Sniper's design, and when closed, the blade all but disappears in the handle. 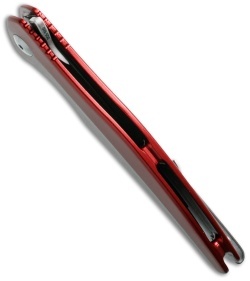 The blade is set on the proprietary Brous Bearing System pivot for efficient, smooth operation. As a side note, the jimping on the handle won't cause discomfort from "finger drag" when using the flipper. 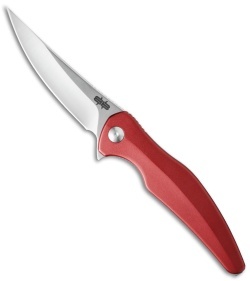 This model has a red anodized aluminum handle and satin finished D2 tool steel blade. This is my first Brous, and for the money, it's well made and numbered. 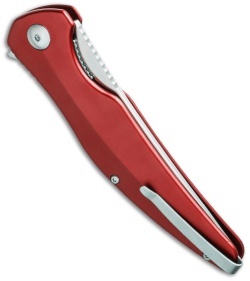 The blade shape is perfect, sharp as a razor, and the inconspicuous deep pocket carry clip is a plus for me. I had to take off a star for the texture of the frame material. The aluminum is good looking and light weight, but way too slippery to be practical for tactical - unless you're planning on slicing Nova lox thinly, in which case I would say get the orange frame. 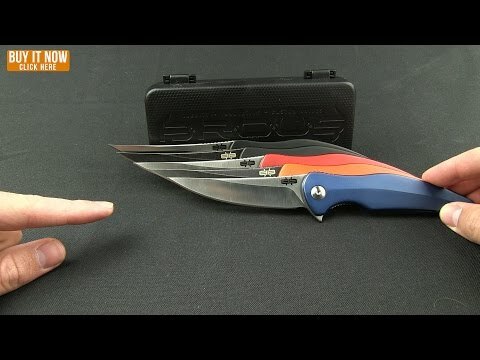 The frame lock on mine meets the blade close to the edge. This has led to incomplete lock up occasionally when flipped without momentum. This could be a matter of breaking in, but I think this good looking, well-made blade will remain in the collection, not the EDC rotation.